The quest for a perfect world, a world without pain or confusion, is very ancient. We can trace its recorded history to the time of Abraham the Patriarch, the founder of The One God Faith. According to Abraham’s vision, the world has been created from a One, Endless God. Since The Creator is endless and perfect, His creation must be endless and perfect too. That brings us to one of the main pillars of the Monotheistic faiths: Evil, pain and Chaos are temporary and illusive in our universe, while perfection is eternal. The drive for perfection inspired many people since the days of Abraham, some 4,000 years ago; many of them manifested their dreams in the quest for perfection in the fields of literature, art and science. Perfect World Museum has been established in order to serve humanity by being a place to present the ideas and the art of those people along the generations who’d used, and are still using, Kabbalah as their language in their quest to achieve a better, more perfect world to all mankind. This site will present contemporary art of people living and creating in the present in order to support their work and help them fulfill their dreams. The site will, also, publish works of scholars that do research in this field about artists and scholars of the past and of the present. Perfect World Museum is a revolutionary retail destination located in the heart of Jerusalem that offers a rare and dynamic collection of relics and replicas rooted in the rich mystical influences of Kabbalah. Exceptional handcrafted jewelry and works of art are selected and carefully designed according to sacred artifacts stored and treasured in museums, libraries and private collections around the world. 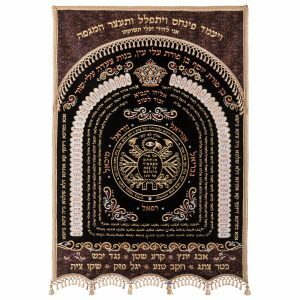 Each piece is supervised by our Rabbinical scholars to ensure that it perfectly conforms to ancient Kabbalistic tradition and wisdom. 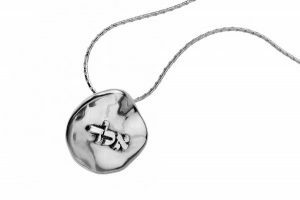 Hebrew lettering and/or Kabbalistic symbols on each item, including the holy names of God and angels, promise to bring spiritual forces of good fortune, health and protection to its owner. We provide detailed documentation with every piece, allowing our customers to understand the significance of their purchase and how to best use it to enhance their lives. Whether you are looking to heal, improve a relationship, increase prosperity or simply boost positive energy, Perfect World Museum has something unique and special waiting for you. Let the spirit move you . . . to PERFECT WORLD MUSEUM.